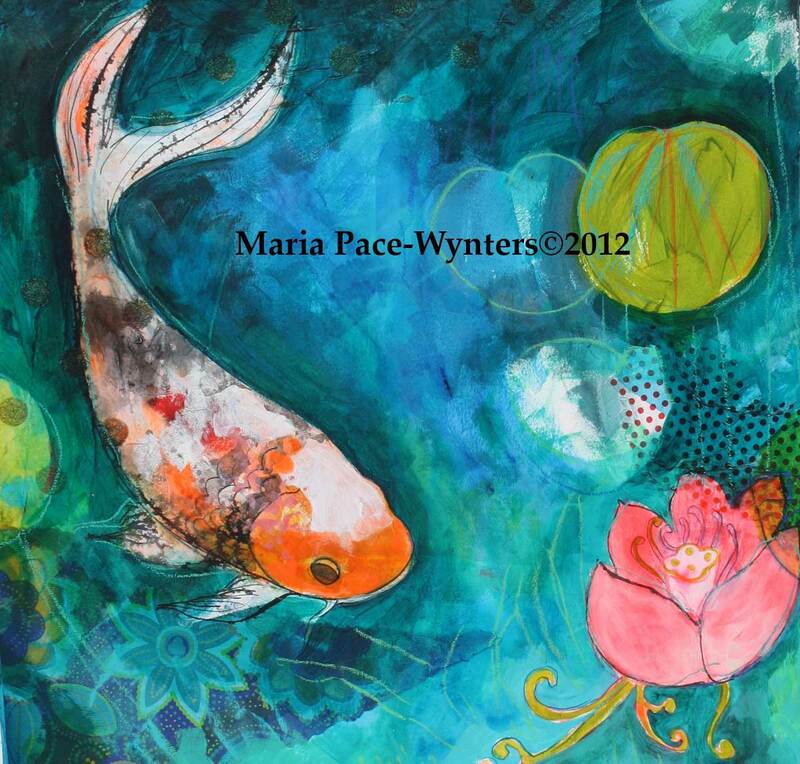 18″x18″mixed media painting on paper covered canvas. 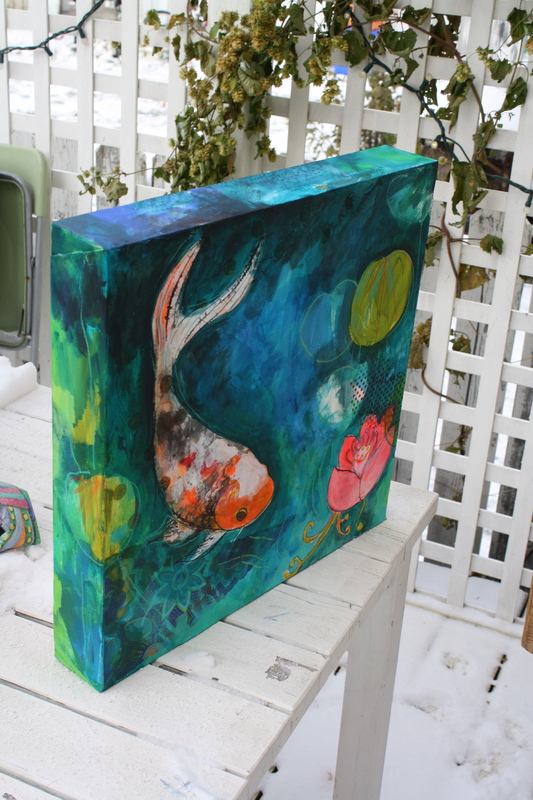 Sides are 3″ deep and are a continuum of the painting. This painting will be displayed Nov. 7-25, 2012 on the walls of The Varscona for Shadow Theatre’s first play of the 2012 -2013 season Jack Goes Boating by Bob Glaudini. Please note if you are interested in the purchase of this painting you can contact me directly via email : maria@mariapacewynters.com. This entry was posted on October 30, 2012 by mpwynters. It was filed under Uncategorized and was tagged with jack goes boating, koi, Maria Pace-Wynters, shadow theatre.